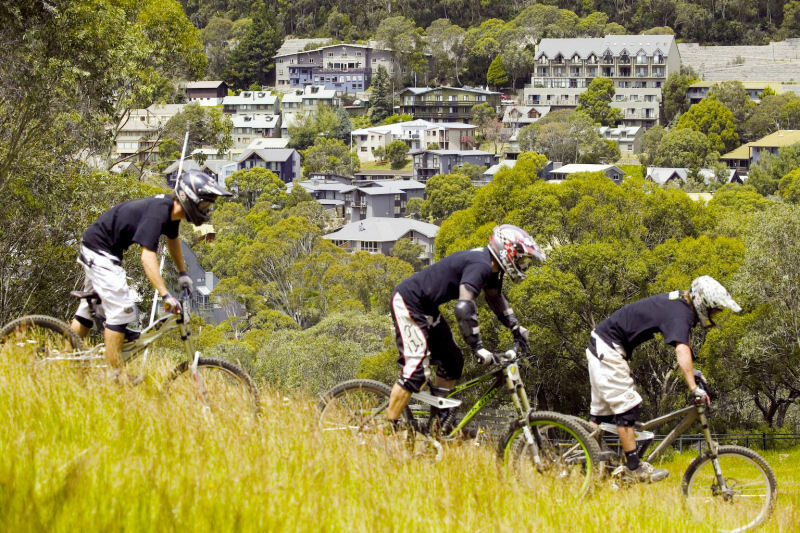 The Thredbo MTB network has several trails that are suitable for beginner mountain bike riders. These are the Friday Flat Loop, the Village Loop and the Pipeline Path. These vary in length but are perfect if you want an easy ride or a warm up before connecting to one of the more challenging trails. 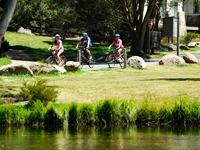 This loop starts at the Thredbo Valley trailhead and connects the Thredbo Valley Track and the more technical Bridle Loop with the rest of the network. Highlights include: undulating creek crossings, gentle High Noon switchbacks and gradual climbs. The terrain is easy for beginners to negotiate as you head cross country over grassland, across bridges and through gum trees. 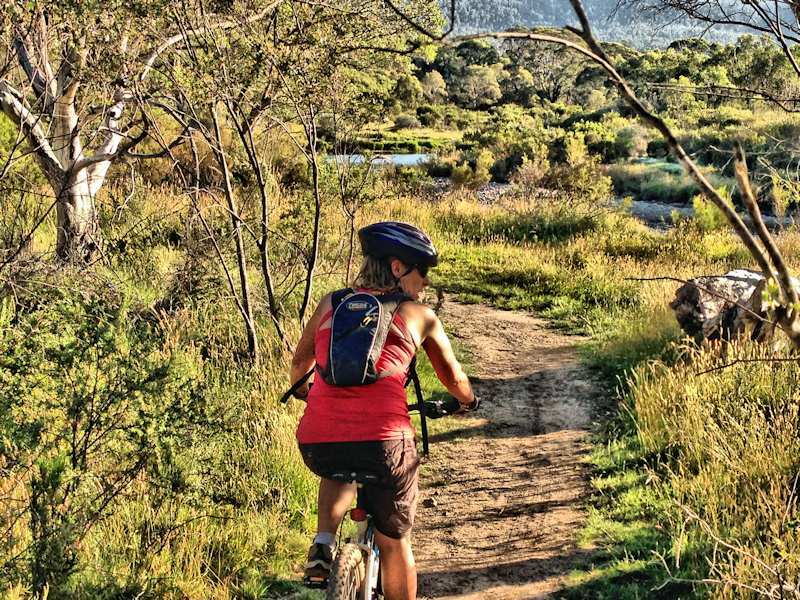 At the Creek Station trail hub you can join up with the Village Loop or head back down to the Friday Flat car park. The Village Loop is a slightly longer ride that commences at Valley Terminal. It traverses underneath Merritts Chairlift and the Thredbo Bobsled as a warm up, then heads up behind Woodridge Estate. This section is slightly more advanced but you can always get off and push if your legs are tired. At Merritts Creek there’s a spot to take a break, and this is where the Village Loop joins up with the Friday Flat Loop so you have the option to switch trails. If you choose to continue there’s an undulating flow through the forest, village views and a fun descent back to the Valley Terminal. There’s also an option before the descent to connect with the Golf Course Loop via the Golf Course Connector. The Pipeline Path is a quiet scenic ride that you can easily access from the village. 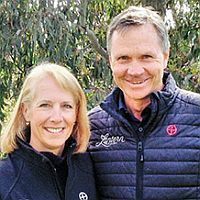 It follows alongside the Thredbo River through eucalypt forest and then does a loop round the snowmaking pond before heading back to the village. It’s a nice ride to do if you have kids or it’s a hot day and you want to have a dip in the pond. It can also provide a great warmup for more intermediate riders if you want to do something more challenging afterwards. From the top of this trail you can connect with the Thredbo Valley Track and the Bridle Loop. 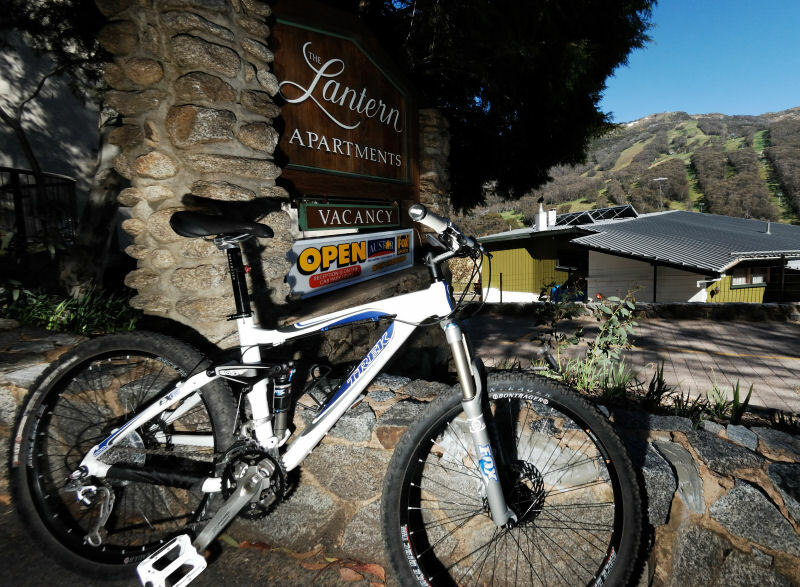 To get the most out of your ride make sure your bike is in good condition, you can get it checked at Thredbo MTB in the Village or at the Valley Terminal. We have included an essential items checklist below so you know what gear to take with you, especially if you plan on being out for a full day of riding as the weather in this area can be changeable.